This is the most purrfect weapon you'll ever see. Think about your favorite weapon in a video game. Is it a powerful shotgun? Lightweight SMG? What about a cat that shoots hearts? That's my personal favorite. 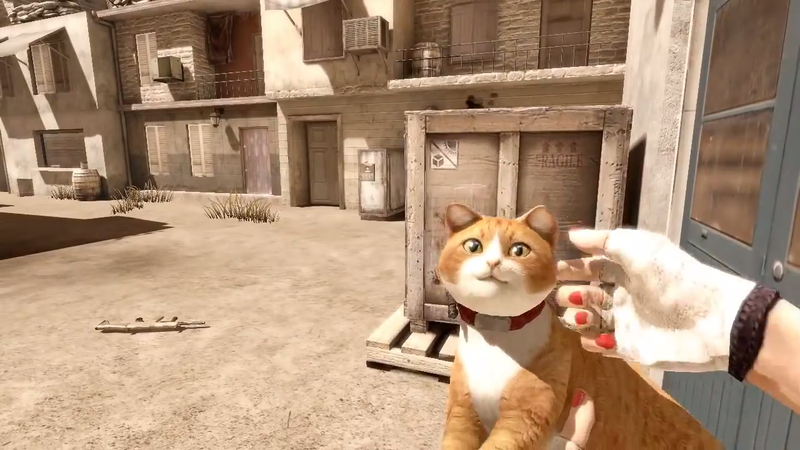 Check out this video of a cat used as a gun in the game S.K.I.L.L. - Special Force 2, a Korean FPS. You've got the cat gun, a cat food grenade, a yarn ball that can be tossed at enemies, and one of the most important mechanics ever here, too: petting the cat to thank it for a job well done. The cat isn't actually a real part of the game, but a mod that allows for some cat-tactic feline additions, which you can download and install to the game, which released back in 2007. Truth be told, this cat mod is pretty old, but it makes us think: Man, we really need more games out there with cat guns in them. Forget dubstep guns and flamethrowers. What the world is experiencing right now is a cat gun shortage. This is an appeal to the developers throughout the gaming community: Give us cat guns, or give us cat guns. There is no alternative option. This has been a Shacknews public service announcement.